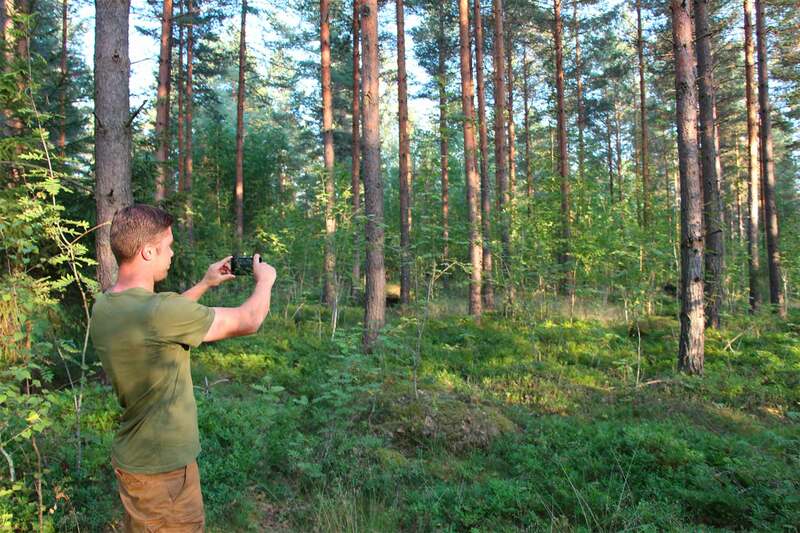 Shoot pictures evenly across the desired forest area with TRESTIMA® -mobile application. Pictures are automatically sent to TRESTIMA® cloud service for analysis and storage. Tree DBHs, heights ant species are measured in the cloud service automatically. We do regular quality control to ensure correct results in variable conditions. Inventory reports are calculated in minutes based on the data gathered from the picture samples. Reports are also transferred back to the mobile device so the user can follow progress and results in the field. Measurement sessions including pictures as well as reports are automatically stored to TRESTIMA cloud service. All data is backed up and storage capacity is limitless. In the cloud service you can review your measurements at a level of single picture or in larger scale against different map layers. New estate and forest borders can be imported or drawn at the service when they are also automatically visible in the mobile application. Stand characteristics can be shared directly from the service as electronic reports, or the raw data can be automatically transferred to 3rd party database or service through our existing APIs for further processing. Explore our service by logging in with username: test, password: test. User impact to the end result is minimal. As low as 5% standard error can be reached for basal area. More sample pictures can be taken until the desired accuracy level is reached. Measuring one hectare takes less than 5 minutes on average from a singe person. Measurement results with sample pictures, observations and trails is safely stored and always accessible in the cloud service. In addition to traditional stand characteristics, the systems also records e.g. DBH distribution, log/pulp ratio and age. to ensure great end result. Speed up your field work by measuring stand characteristics with pictures. 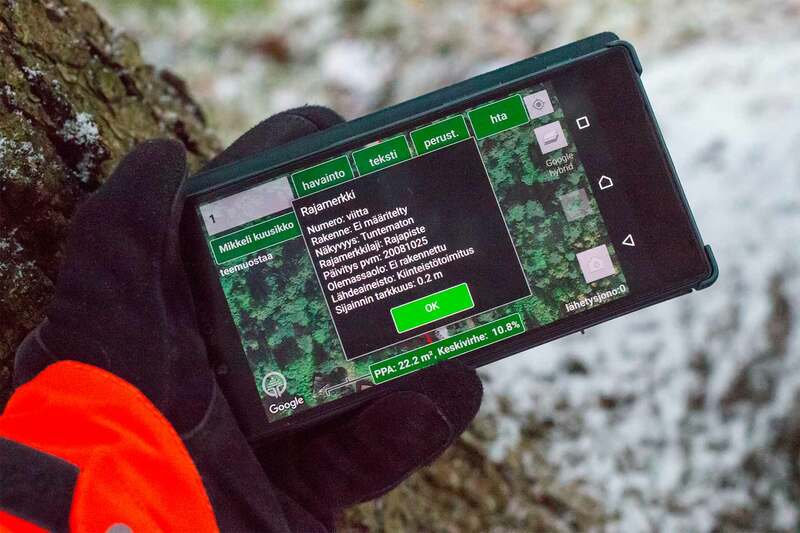 TRESTIMA® application also works as a nifty field data logger and is compatible with several forest information standards. This means you can type in you forest management and harvesting plans in the field with ease. All inputted data is also geotagged and can be later edited in the cloud service or coupled with editable stand borders. Define tree volume, species composition and detailed DBH distribution of stems as part of your field visit just by shooting pictures. 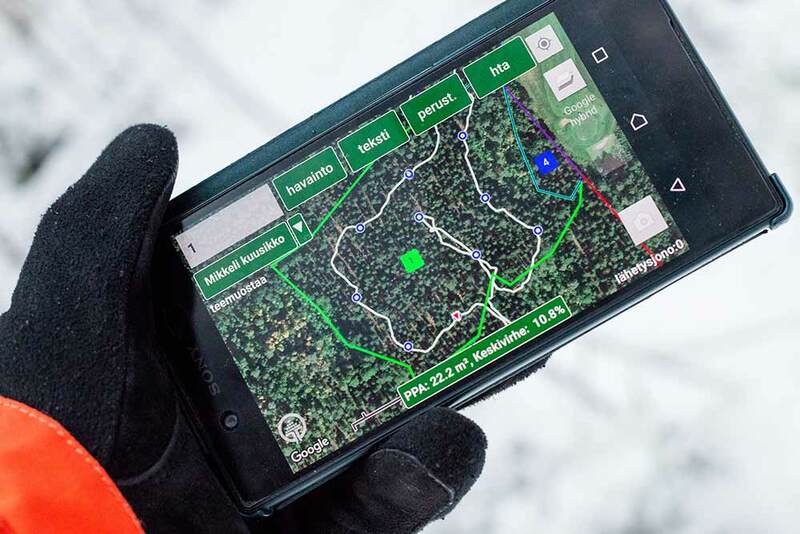 Record your trails and mark corners of the forest to be cut with GPS-tags. Machine vision can be utilized to objectively predict quality of the potential logs and bucking simulator can estimate what kind of wood products can potentially be obtained from that particular forest. 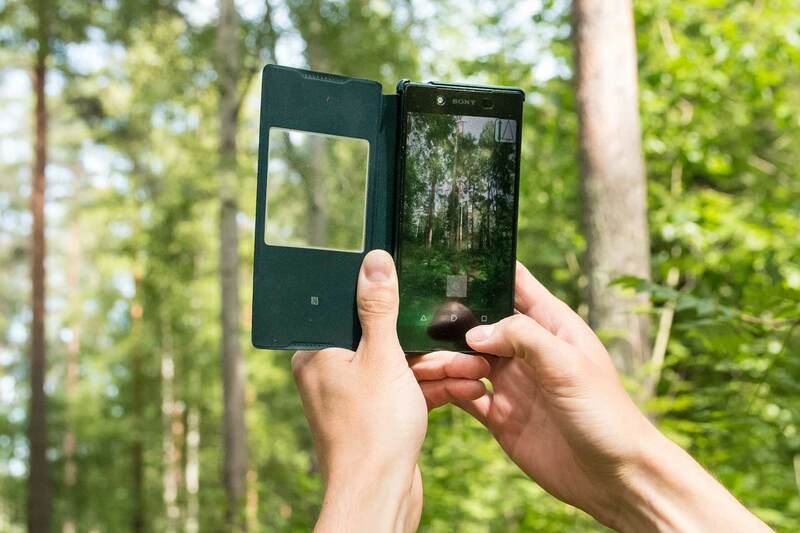 In your pocket you can find the most powerfull and accurate tools for making forest inventories. You can prepare the areas of interest in beforehand with your computer by drawing the borders or simply pick up your device, give a name for your measurement and start shooting pictures. Report of stand characteristics is ready in minutes and can be shared as an electronic report or e.g. exported in excel format for further processing. 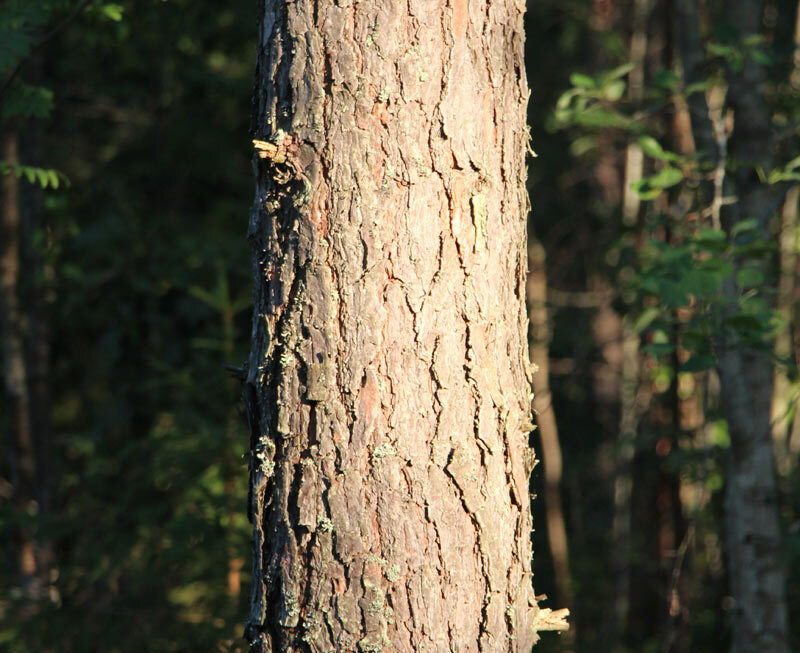 TRESTIMA® Forest Inventory System enables flexible, fast and objective measurement of forest stand characteristics. Using the application is easy and it doesn’t require extensive knowledge of forest inventory. In addition to sample pictures you can record all kinds of observations and pictures tagged with GPS-position in the field. Forest owners and small entrepreneurs can use TRESTIMA® Forest Inventory System by signing up in www.forestmeter.com. Want to know more? Call us or leave a comment with the contact form.